Salman Khan Joined by Priyanka Chopra in Sanjay Leela Bhansali’s Next, Film Titled Hum Dil De Chuke Sanam 2? Reports suggest that the title of the love story is Hum Dil De Chuke Sanam 2 while it's not a sequel. That actor Salman Khan and filmmaker Sanjay Leela Bhansali are collaborating again is news of the past. The latest update in the same is that this much-awaited film might just be titled Hum Dil De Chuke Sanam 2. It’s also been discussed widely that Priyanka Chopra is the leading female face of the film. As per the latest media reports, both Bhansali and Salman are on board to make the film under the same title. This, however, doesn’t mean that the new film is going to be a sequel to the 1999 hit drama. A source to DNA revealed that there’s a high possibility of the new love story to be released in the name of Bhansali’s film that features Aishwarya Rai Bachchan and Ajay Devgn in important roles. The source close to the daily also added that Salman will begin work on the Bhansali film after finishing Dabangg 3. “Salman starts Dabangg 3 in the last week of March. Once he finishes the third instalment of the cop franchise, he will begin work on this project. The movie is being readied for a 2020 release,” said the source. 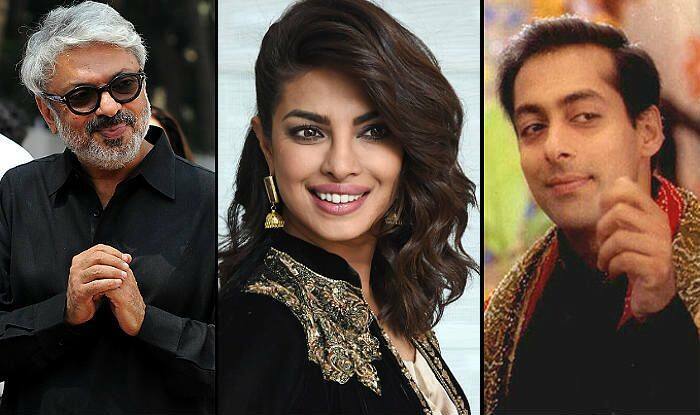 Rumours also suggest that Priyanka Chopra is going to feature with Salman in the new film. The actress revealed on Koffee With Karan 6 that he’s in talks with Bhansali for a film. All you Bhai fans… excited much?